A good diet has always been one of the keys to healthy living, but as you age, it becomes even more important. And with some modifications, your elderly loved ones can maintain a healthy lifestyle, whether they’re living independently or in an assisted living community. Below, the specialists from Middleton Senior Living in Granville, OH, share some healthy eating tips for senior care. Omega 3 fatty acids are some of the foundational building blocks for the human body. Sometimes referred to as “healthy fats,” Omega 3 fatty acids have been proven to reduce health issues related to old age, including heart disease, arthritis, and certain types of cancers. For optimal health, be sure your family member’s assisted living facility is providing at least two meals per week that include Omega 3 fatty acids. Foods rich in these acids include fish, flaxseed, and walnuts. If your elderly loved one is living independently, you can also consult with their doctor to see which Omega 3 supplement is right for them. When it comes to healthy senior living, the body’s need for calcium becomes crucial for maintaining proper bone health. In addition to its bone health benefits, calcium can also lower blood pressure. 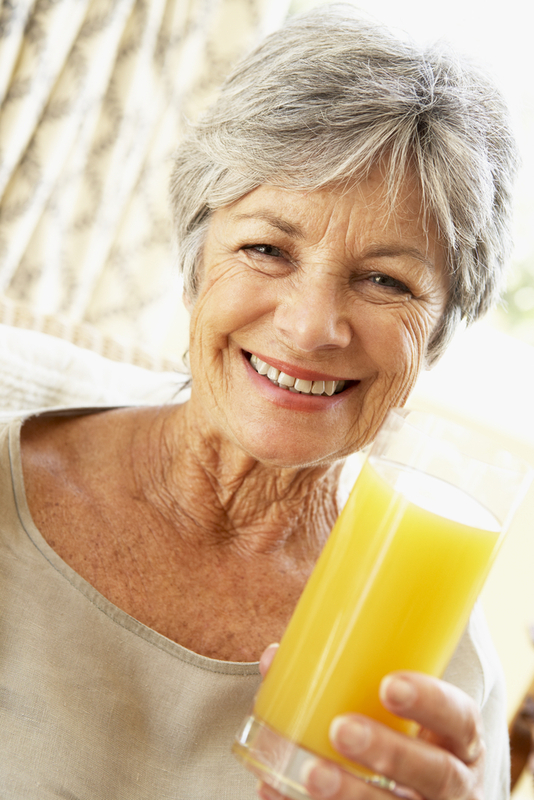 Seniors should aim to have at least 1,200 milligrams of calcium per day. Milk is known to be rich in calcium, but you can also find fortified juice and non-dairy milk to provide adequate calcium. Additional sources of calcium include leafy greens like kale. Vitamin D reduces the risk of bone fractures, and it can also improve muscle weakness, heart disease, arthritis, and other health issues related to aging. One of the best ways to get vitamin D is through sun exposure. If your loved one is at an assisted living facility or retirement home, make sure they’re providing enough outdoor activities to get adequate sun exposure. If sun exposure isn’t an option, be sure that their senior living facility is providing foods rich in Vitamin D, like fortified cereals, dairy products, and salmon. If you’re looking for an assisted living community or retirement home, Middleton Senior Living has everything your elderly loved one will need for a vibrant life. Focusing on elderly care in a rich social setting, their senior living facilities offer a luxurious environment for thriving seniors. From independent living to dementia care, every senior will feel right home. For more information, visit their website for a photo tour of their facilities, and call (740) 587-­0059 to discuss your family’s assisted living needs.